Dillon Development Partners is a real estate development firm that focuses on the efficient management of your Real Estate project. Our professionals save you time, money and aggravation. 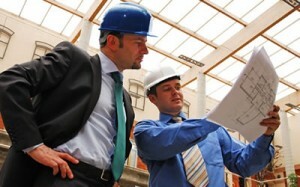 We serve clients who require expertise, knowledge of the marketplace, experienced management and attention to detail. Dillon Development Partners believes in our client’s visions. Our work is diligent and focused to achieve these visions. It is the core belief of each member of our firm that Dillon Development Partners, LLC serves the best interest of our clients by structuring the relationship in the manner that best suits the client’s goals and objectives. Examples of past relationships include: Development Director, Owner’s Representative, Project Manager, Partner and Construction Monitor. No matter the relationship structure, Dillon Development Partners becomes an extension of our client’s staff for management of the team that is working consistently with the defined project goals and objectives. On behalf of our clients, Dillon Development Partners assumes management responsibility for elements of their projects employing best practices in project management and quality control. As the Owner’s Representative, Dillon Development Partners focuses solely on the interests of our clients and is not encumbered by outside interests.